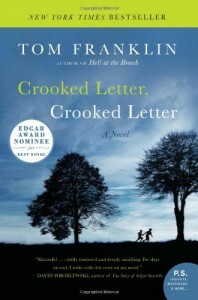 Crooked Letter, Crooked Letter by Tom Franklin, is set in the rural town of Chabot, Mississippi, where a local policeman Silas “32” Jones lives and his long estranged school friend Larry Ott, a garage owner. Though both of them were world apart Silas being a black, son of a single mother, Larry was the son of a white mill worker, their friendship blossomed until one day Larry Ott takes a girl to a date in a drive in movie, and the girl is never seen again. Larry carries the burden of being a suspect all his life, as Silas returns to the town as a policeman. Back in the current period another girl goes missing and everyone starts looking suspiciously at Larry again and Silas tries to solve the crime of both the disappearance to bring the guilty to justice. There are books which can be described in one single word like UNPUTDOWNABLE, and then there are books like these which wins heaps of awards and yet can be described in another single word, “BORING”. 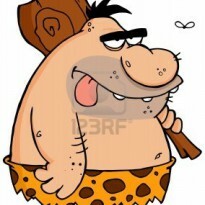 Yes this book bored me to death. I just don’t get one point, is it too difficult for a writer to write a clean cut crime novel instead of wrapping it in an extra mould of pseudo literary paragraphs thereby (maybe)trying to prove that, “Look as a writer I dont only write crime fiction, but my books also have a lot of human element in it”. When I start reading a crime novel, I search for a tight plot, some exciting clue searches and a nicely balanced finish. This book had none, instead had pages after pages of flash backs, comprising of developing relationships between the two protagonists. Though this may be helpful in bringing back the reader’s childhood memories of school, but it did nothing excepting turning a boring plot into something which never came close to resembling anything remotely Crime fiction. Then at last the book ended, and I felt as if I just got a new lease of life. Because I might have died of boredom. This book won a heap of awards including CWA Golden Dagger, which though have given away some deserving winners, have also decided on conferring the honour on some equally bad crime novels like this one. Dear author, please, the next time you write a book, decide first what you want to write. Will it be a literary fiction, or a crime fiction? Take a decision and stick to it, but please dont write a book, trying to ride both the boat at the same time.